If you have a civil engineering project you need to complete in Toronto, ON, turn to us at Belanger Engineering. Civil Engineering – Civil engineering is a type of engineering discipline that deals with the maintenance, design, and construction of physical structures. 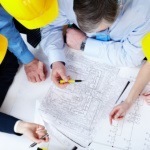 If you have a civil engineering project you need to complete, turn to us at Belanger Engineering. Our team of professionals is here to satisfy all of your demands and ensure the successful outcome of your project. When you hand your civil engineering project over to us, there are several things you can expect from our team. We will work directly with you to make sure that your vision is realised from concept development until the conclusion of the construction process. We will take the time to understand the unique specifications of your project. We will work closely with you to ensure your goals are met while also balancing costs, site constraints, and the environment. We will communicate with you throughout the duration of your project to ensure that you always feel confident about the project’s timeline. At Belanger Engineering, we are confident that we can successfully manage the demands of your civil engineering project. Our engineers have extensive experience and are capable of working with both new and restorative structures in Toronto, Ontario and the surrounding area. We are more than happy to provide you with more information about the different civil engineering projects we have worked on to help you better understand the scope of our abilities. For more information about our civil engineering services and to view our extensive portfolio, contact us at Belanger Engineering today. If you are looking for civil engineering companies to serve as part of your team for your next project, you have come to the right place at Belanger Engineering. Your project can be a success if you put together the right group of people for the job. .
At Belanger Engineering, we offer civil engineering services in Toronto, GTA, Mississauga, Markham, and Ajax, Ontario.